techniques used to produce the exclusive Nicole Barr jewelry designs. Plique à jour is the same technique used by the French enamelists Lalique and Feuillâtre in the 1900's. 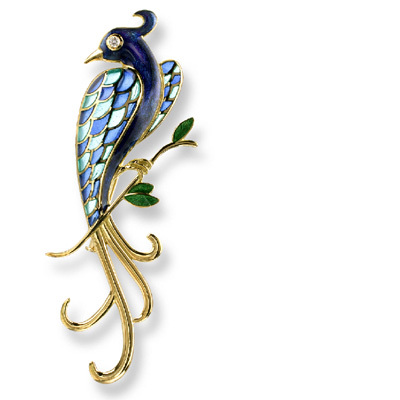 The French term means "glimpse of day" and describes how the light shines through the rich, lustrous enamel color. Each beautiful, delicate piece is translucent -- suspended between gold or silver wires without a backing, creating the effect of a stained glass window. A French word for "raised field", in champlevé the artist removes the silver by cutting, hammering or stamping in order to create a depression which will then receive the melted glass. 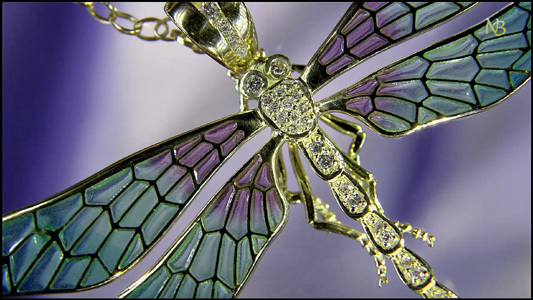 As the enamel is laid in the recessed areas of the gold or silver, it is built up in layers until it reaches the same height as the remaining metal. 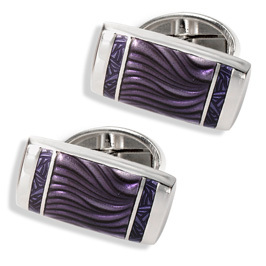 French for "low cut", in this technique a pattern is created in the sterling silver before enameling, so that when the enamel is laid over it the pattern shines through the transparent glass. Basse Taille adds texture and life to the design.